I was fortunate enough to travel aboard Royal Caribbean’s newest ship, The Allure of the Seas, www.royalcaribbean.com, and let me say that there’s a lot of allure on this vessel. It’s the largest ship in the world but based on its beautiful dezine, it never felt like a behemoth. Sure, it looks massive (and it is) as you’re driving up to the port, but the minute you step on board, Royal Caribbean made sure that there were enough “neighborhoods” on board, 7 to be in fact, to ensure that you never felt like you were one of over 5,000 travelers on board. Each neighborhood has its own look and feel and the touches along the way from one area to another such as artwork, colors schemes and lighting ensured seamless transitions. Balcony rooms were created looking inward into open spaces so you had choices of looking out to sea or looking into a stretch of greenery called Central Park or into a more lively and Coney Island-inspired area called The Boardwalk, complete with carousel. The spa was soothing to the senses and the Royal Promenade with its shops, restaurants, pubs and various entertainment venues was wide open and bustling with activity and energy 24/7. 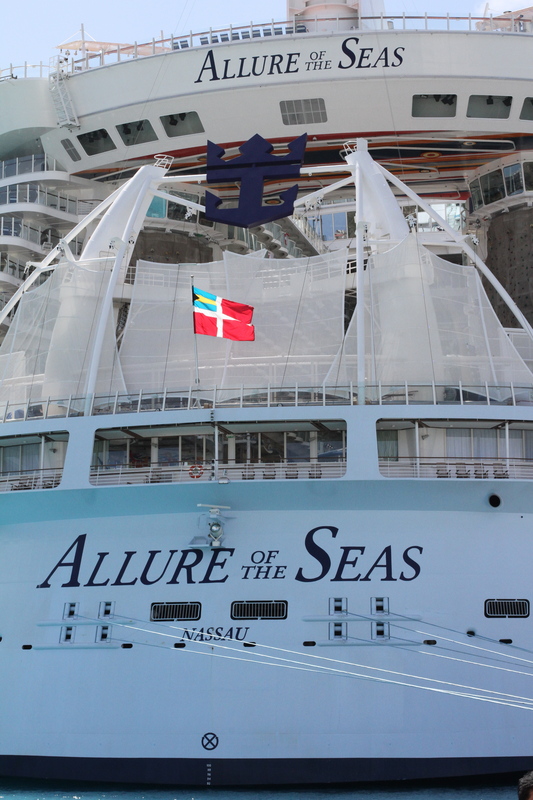 Yes, there are other more luxurious ships out there and in much smaller scale, and the Allure isn’t perfect, but what the Allure of the Seas delivers despite its massiveness deserves praise — and it’s because of great dezine.